Okay, before you start laughing, you need to know that a sewer museum does exist…it’s the Paris Sewer Museum, and it’s been giving tours since 1889. The sewer tour takes an unused part of the old sewer system and details its evolution from the 14th century up to the modern forms of water treatment. Of course, the kind of sewers they’re talking about don’t involve modern home sewer systems, but instead focus on the storm drain and public sewer systems. As drain and sewer cleaners, we’re not exactly required to make a pilgrimage, but it got us thinking about the aspects of our work lives that we’d be sure to include in a sewer museum. Here are a few of our favorites. The Roto-Rooter: Sewers used to be huge brick structures with columns and arches. But when homes and apartments started being connected to the public sewer system, pipes got considerably smaller. That meant that sewer workers couldn’t get in there to clean the pipes out. Also, as centralized cities started having suburbs (mostly thanks to reliable automobiles), the common man could have a yard, and yards meant trees, and trees meant roots looking for nutrients. Before the invention of rooter service in the 1930 the only way to deal with a clogged drain was with harsh chemicals (which often didn’t work) or digging the pipe up. Imagine if you had to dig your sewer line up every time it got clogged! Rooter service and sewer snakes changed all that by providing a mechanical means to of sewer cleaning. The PVC Pipe: We wrote about the history of many types of pipe, and we’d probably include examples of just about every kind that’s ever been used in sewers. But all of those so far have paled in comparison to the PVC pipe. These pipes hold up to both the environment and to the effects of time, and are certainly worthy of being in our sewer museum. The Flush Toilet: You know, when you have a clogged kitchen sink, it’s nice to get it cleaned out and have your dirty dishwater go away. And it’s pretty awesome when you’re having a shower and everything heads smoothly down the drain. 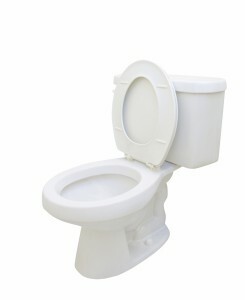 But when you add the flush toilet to the mix, there’s not doubt that it’s the one you want to work the most. Flush toilets have been around in some form or another for centuries, with some truly unconventional designs. We’d love to have a few of the weirder ones in our sewer museum. Heck, maybe we’ll have a urinal in there too. On the wall. The Snake Camera: The snake camera, also known as a sewer camera or sewer scope, is the last word on what’s going on in a sewer. Is it an especially bad grease clog? Did a major tree root work its way into a joint in the PVC pipe? Or maybe the pipe has collapsed completely. The sewer camera has changed the way that people deal with their clogged sewer problems, saving thousands of yards from having to be dug up. Look, we’ve got no plans to open up a sewer museum anytime soon, but we can tell you that, if you open one, we’ll definitely come. Any museum that honors the professions of drain cleaning is one worth visiting! The Oil You Don’t Realize You’re Sending Down Your Sink Clogged Kitchen Sink? Are You Sure?